It’s a busy new year for Microgaming and new slots. Already in January we’ve been frightened by Peek-a-Boo, been introduced to the Lucky Twins Slot and gone Multi-Player on Mermaids Millions. So what’s looming in February? The Chinese New Year is your first clue. But we have no idea why Microgaming is launching a beach based video slot at the height of winter. 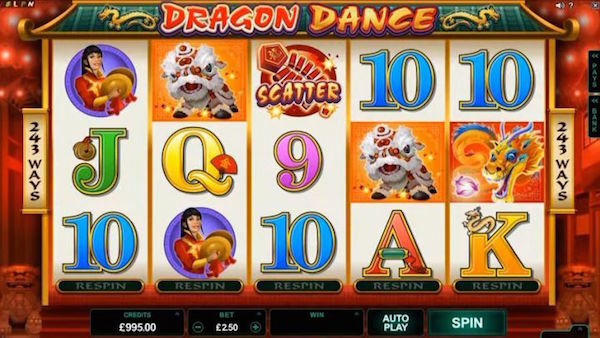 The two new slots for February 2016 is Dragon Dance and Bikini Party. Bikini Party and Dragon Dance will launch simultaneously on both mobile and desktop platforms on 3rd February 2016! There’s a few Chinese New Year Slots hanging around at this time of year. No surprises there, but how many have Reel-Respin? That’s the selling point for Dragon Dance, a 5-reel 243 ways to win video slot. Plus points include high-quality graphics, smooth gameplay and free spins. But what about this Reel-Respin again? It’s a beautiful concept and rarely seen. Following each spin, players can keep reels in place and re-spin others, a bit like a holding mechanism. Another cool fact about Microgaming Dragon Dance is that all wins from within the free spins bonus game get by multiplied by 3. They say the Dragon Dance warns away evil spirits and bad luck, with up to 60,000 coins up for grabs, let’s just hope they’re right. We’re not going to beat the drum on Bikini Party too much, those talented folks at Microgaming know all about double standards. I know we had lucky twins, but Bikini Party and Dragon Dance are identical twins with different faces (does that make sense? ), so if you want to swap the celebrations of the Chinese New Year for the skin of pretty cartoon babes, spin the one with the volleyball match. Like Dragon Dance, Bikini Party is 243 ways to win strong, it pays well on free spin wins with 3 x multipliers and again offers Reel-Respin. 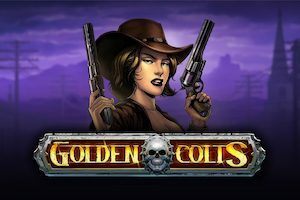 While we’re getting two different games, it’s essentially one clever feature wrapped in two original styles, but what is cool, is that Microgaming has launched both on mobile and desktop at the same time. And while both games are more identical than Russian dolls, Reel-Respin alone is a good excuse to spin either. If you’re looking for a decent games concept with two distinctive looks, Babes or Blessings, why not choose the Bikini Party Slot or Dragon Dance. You can find these games now playing at the top UK casinos with Microgaming Software. Slotsquad recommends hippodromeonline.com, 32Red Casino, casinoroom.com, Vera & John and Guts Casino.